Bangkok (VNA) – At least nine people have been arrested in Thailand for spreading fake news on Facebook with posts about sacked election officials and bogus ballots. On March 28, Siriwat Deephor, a spokesman for the Computer Crime Suppression Division Police, informed that these people were arrested for sharing fake news on Facebook claiming two election commissioners had been sacked and that 600,000 illegitimate ballots were mixed into the vote count. 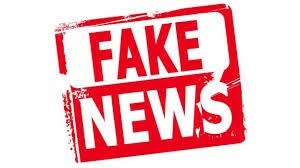 They confessed and said they didn’t know that it was fake news, he said, adding that they were charged under the Computer Crimes Act “for sharing or spreading false information”. The accused face up to five years in jail and a 3,100 USD fine, he said. The general election in Thailand took place on March 24 with over 50 million people eligible to cast votes. According to unofficial results announced by the Election Commission on March 25, among 350 seats in the House of Representatives directly elected at constituencies, the Pheu Thai Party, which backs former Prime Minister Thaksin Shinawatra, won 137 seats while the pro-military Palang Pracharat, which wants Prime Minister Prayuth Chan-ocha to remain in office, secured 97 seats. The Bhumjaithai Party, which declared to say neutral, won 39 seats while the Democrat Party, which said to not join the alliance with Pheu Thai, 33 seats; the Future Forward Party, 30 seats; and the remaining parties, 14 seats.